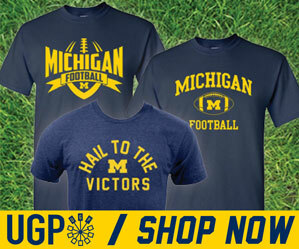 We heard a few days ago that it could start raining verbals in Ann Arbor very soon...and it looks like it may be starting. 2011 recruiting page lives here. 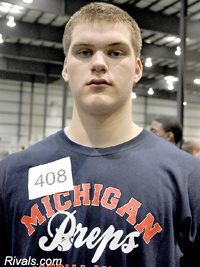 The latest edition to the 2011 class is Traverse City OL prospect Jake Fisher (6-7, 279). Other offers: Central Michigan, Western Michigan, Michigan State, Cincinnati, Toledo. Cons: Never played tackle before, only played as a TE so far. But will transition into tackle or senior year.